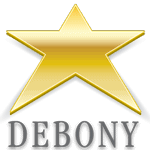 [vc_row][vc_column width=”2/3″][vc_column_text]Debony Salon is unveiling its new blow-out menu! Our girls at the salon are total artists when it comes to using a brush and blow dryer. There are so many things that can be achieved with a round or paddle brush and cool or dry heat. Sometimes though, it can be hard to communicate exactly what you’re looking for. Of course we love the words, “volume,” “curls,” “bounce” and “flirty” or “wind-blown,” but those words mean different things to different people. So we had a meeting of the minds and pooled our creativity together to create this new, signature blow-out menu. It features the three tiers of blow-outs we offer; for long hair, short hair and wedding styles. We also feature the MoroccanOil StyleScapes, which are signature blow outs designed by MoroccanOil to provide visuals on exactly the look you’re looking for. Scalp treatments by both, Aveda and MoroccanOil are offered as well. These treatments help infuse your scalp and hair to achieve different goals from smoothing to scalp balancing, strengthening and hydration.